1. Branch fragment. 2. Fragment with vesicles and phylloids. 3. Vesicles. 4. Habit, cast ashore (Sesoko Isl., Okinawa, Japan).. 09 Mar 2012. Eduard and Tamara Titlyanova. © Eduard and Tamara Titlyanova (etitlyanov@mail.ru). 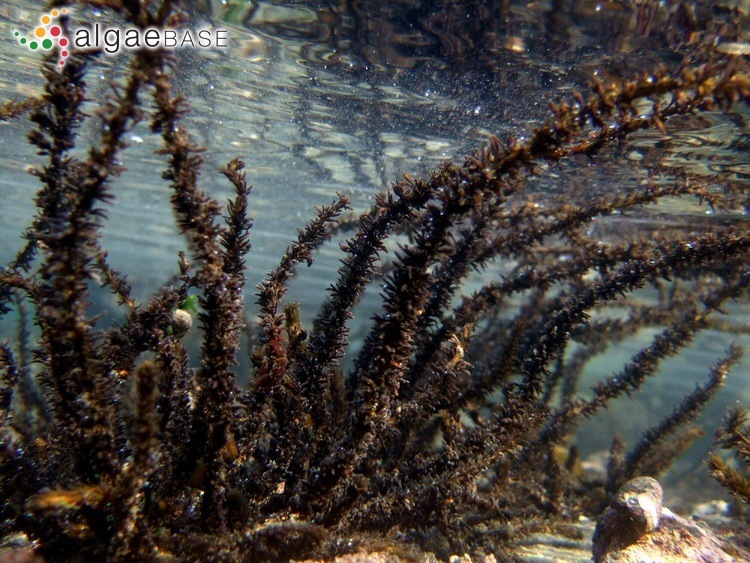 Sargassum thunbergii (Mertens ex Roth) Kuntze 1. Branch fragment. 2. Fragment with vesicles and phylloids. 3. Vesicles. 4. Habit, cast ashore (Sesoko Isl., Okinawa, Japan). Accesses: This record has been accessed by users 4701 times since it was created. Gao, K. & Nakahara, H. (1990). 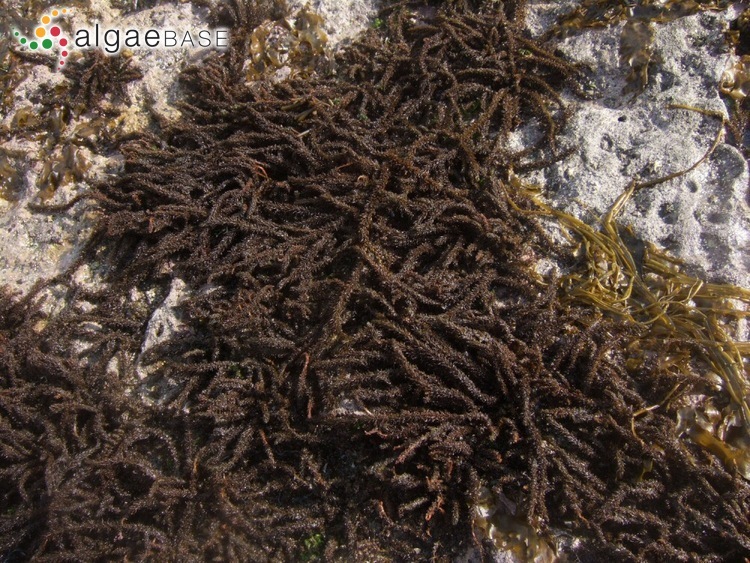 Effects of nutrients on the photosynthesis of Sargassum thunbergii. Botanica Marina 33: 375-383. Gao, K. & Umezaki, I. (1989). Comparative studies of photosynthesis in different parts of Sargassum thunbergii. Japanese Journal of Phycology 37: 7-16. Kim, Y.H. & Yoo, J.S. (1994). 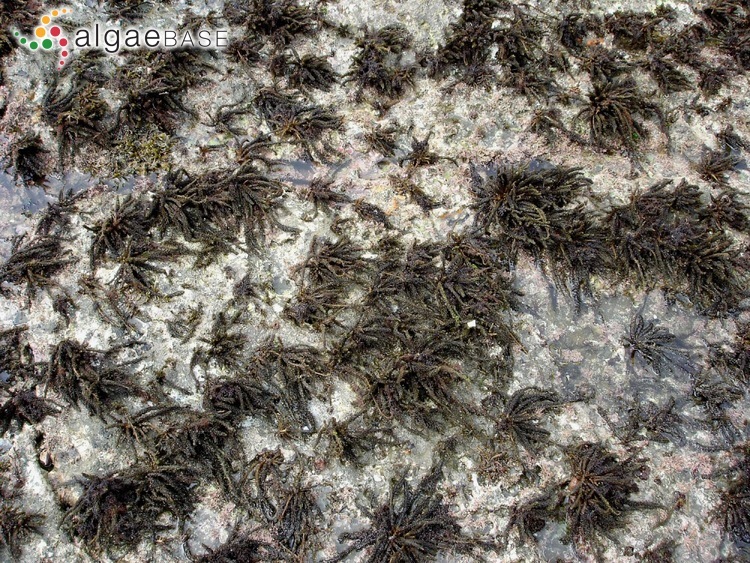 Patterns of algal succession in a Sargassum thunbergii (Phaeophyta) dominated rocky intertidal community. Korean Journal of Phycology 9(1): 59-65, 6 figs, 1 table. Koh, C.-H., Kim, Y. & Kang, S.-G. (1993). 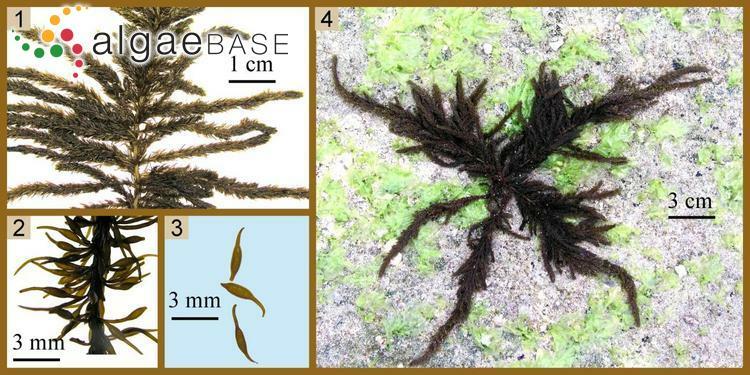 Size distribution, growth and production of Sargassum thunbergii in an intertidal zone of Padori, west coast of Korea. 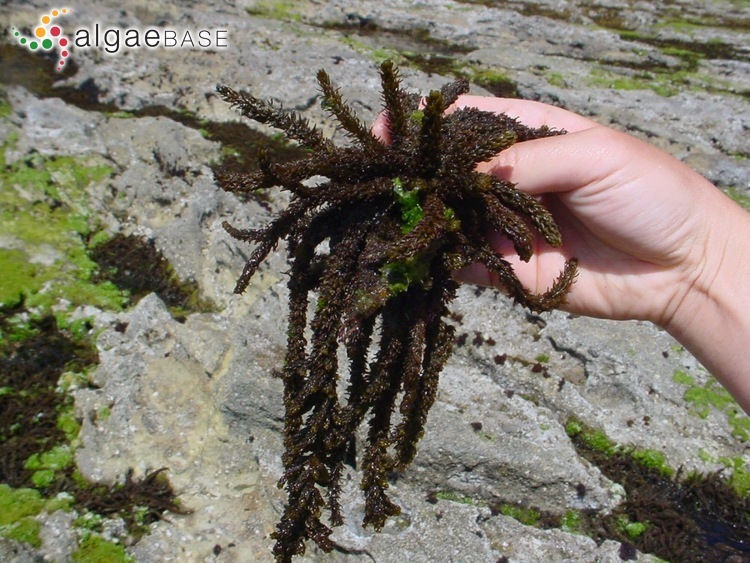 Proceedings of the International Seaweed Symposium 14: 207-214. Ohmori, T. & Miyazaki, S. (1976). An analysis of embryogeny in Sargassum thunbergii II. On the germination of embryo and the formation of rhizoid cell. Bulletin of the Japanese Society for Phycology 24: 2-24. Ohmori, T. (1975). An analysis of embryogeny in Sargassum thunbergii I. On the degeneration of nuclei in fertilized eggs. Bulletin of the Japanese Society for Phycology 23: 93-98. Umezaki, I. (1974). 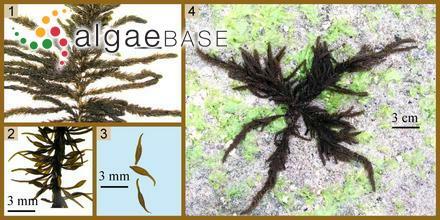 Ecological studies of Sargassum thunbergii (Mertens) O. Kuntze in Maizuru Bay, Japan Sea. Biol. Mag. Tokyo 87: 285-292.